I had been hearing about the SoulCycle phenomenon for a long time from friends in New York City. My friends there have been hooked for years. 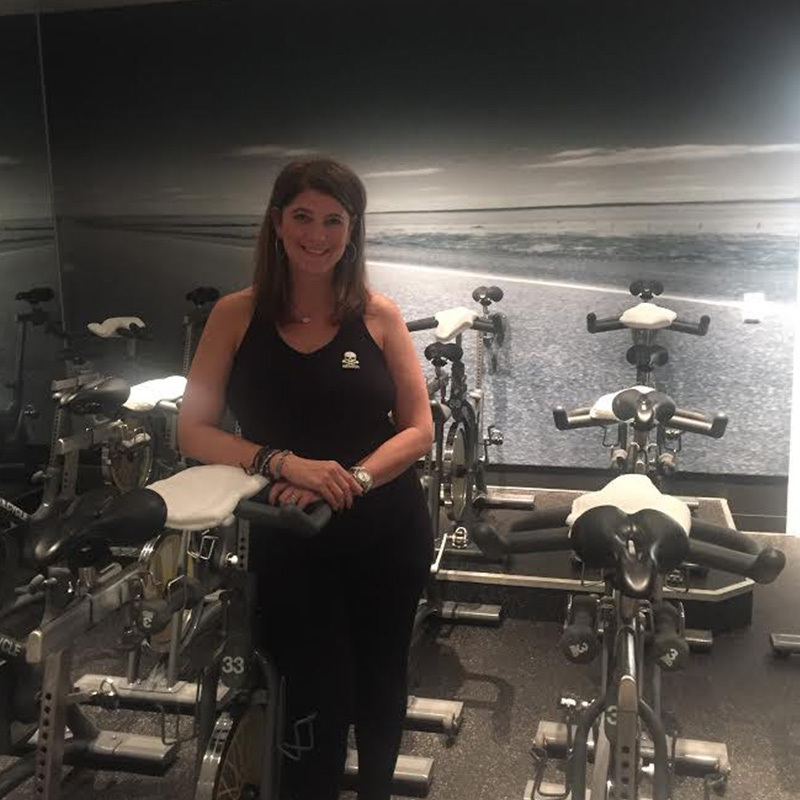 I had never taken an in-door cycling class, but was anxiously waiting for SoulCycle to come to Chicago so I could see for myself what the hype was all about; luckily, one of the locations opened just blocks from my house. The first time I went, I was probably the only first time rider. I walked into the studio with 62 bikes and felt a bit overwhelmed. I didn’t know what to do with my bike or how to set it up. And — I had to wear bike shoes? This was all very foreign to me. Thankfully, several people helped me out. That first class took place at noon on a Wednesday. Devin was the instructor. The room was dark and the music was loud. Everyone seemed to know what to do, except for me. There was a rhythm, a dance and a motion to keeping the pace and it was very fast. I had to sit most of the time. But I loved the music and was dripping with sweat the entire class. I did it! It was a challenge -- but I can take challenges head-on. You see, I have an autistic child. Zoe is 15 now and the light of my life. However, the last 15 years have been the biggest challenge I have ever faced. Before I had her, I was head of advertising for a large corporation. When Zoe was born, I stopped working. I thought it would be a privilege to stay at home with my daughter. As the years went by, things got harder and more complicated. Although my husband was very supportive, he had to be focused on running his new business. I could barely keep my head above water. I had to advocate for everything Zoe needed — therapy, doctors appointments and specialists. Then, when she started school, I found there was little support in the Chicago Public School Community for parents whose children have special needs. So, I decided to start helping other families navi-gate this complicated process. Thankfully now, Zoe has come a long way from what we were facing many years ago. This is mostly because we found an amazing school for her in Chicago called Keshet. And we have them to thank for her advancement over the last 10 years. My break from the day is SoulCycle. The energy and accomplishment I feel from my rides are incomparable. 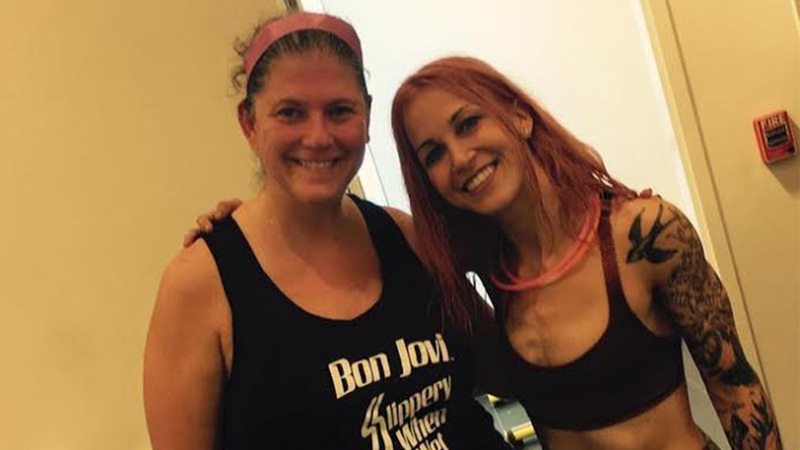 I follow a few of my favorite instructors; Jaclyn, Devin and Hallie W. The soulful, inspirational messages these instructors deliver throughout these rides are very powerful… so much so that I lose myself during those 45 minutes, because I know when I walk out that door a bigger challenge is awaiting at home. I’m approaching my 100th ride and I feel like a BADASS. It is the best workout I've ever had. To every-one at SoulCycle — thank you for giving me this challenge that I can look forward to every day.